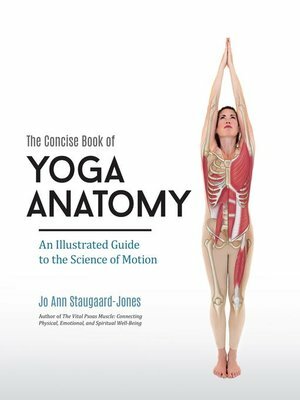 The Concise Book of Yoga Anatomy is the definitive guide to the study of yoga anatomy--a perfect companion book for any yoga teacher or practitioner seeking to understand the biomechanics of the body as it applies to yoga practice. The book is visually designed in quick reference format to offer useful information about the main skeletal muscles that are central to yoga, with asanas to demonstrate the particular muscles and muscle groups. Over 230 full color illustrations detail each muscle's origin, insertion, and action in order to clearly reveal how the muscles come into play in the movements and postures of yoga. Knowledge of yoga anatomy is paramount to the ability to teach or practice with no injury to oneself or others. With this foundation in place, it is possible to focus on the spiritual element of yoga as well as the physical. Yoga is a union of the two, so where appropriate, the more profound side of the practice is mentioned as it relates to the body. The Concise Book of Yoga Anatomy illustrates the form and function of the muscles first, then interlays the muscles into the yoga posture for full understanding in a clear and integrated way, explaining the technique of the asanas, as well as other important aspects of yoga: pranayamas, the bandhas, and chakras.